As we slowly climb out of recession, businesses are starting to jostle for position in order to get one step ahead of the competition in the upturn. As a result, many organisations are now striving for ‘digital innovation’ to help take their organisations forward. In fact a report by the National Institute of Economic and Social Research found that there are at least 270,000 digital companies in Britain and revenue reported by digital companies is growing 25% faster than that reported by non-digital companies. There’s clear evidence that going digital is no longer exclusive to either the bigger brands or the tiny dotcoms or biotech start-ups – it is no longer niche but now all-pervasive. Embracing digital channels is a must for firms to compete and survive regardless of size or industry. According to a survey of 350 CEOs by analyst company Gartner, more than 50% of organisations now have a digital strategy in place. For some, digital is paying off but many more organisations are still unsure how they can capitalise on digital and who owns digital within the organisation. Historically, business functions such as marketing and customer contact services were seen as the early adopters and today’s driver in a firm’s digital strategy and capability. And for that reason they are often given ownership of the company’s digital strategy – but should digital sit with marketing or another line of business or in fact sit with IT? For any organisation’s digital strategy to succeed it requires true collaboration across all business functions from the supply chain, to marketing to sales, to operations and it is IT that provides the glue that brings all these different functions together. Another reason why it should sit with IT is that wherever possible most organisations want to avoid ‘shadow or stealth IT’ emerging as this brings with it another set of problems, for example often IT solutions are not in line with the organisation’s requirements for control, documentation, security, reliability, etc. I believe that the IT department needs to works seamlessly together with the various lines of business to bring the organisation’s digital strategy to life and make sure that the IT department doesn’t get side-lined. However, embracing digital requires IT to think more like a front-office innovator rather than a back-office cost-centre. It also requires IT to think about how digital will fit with the company’s more traditional IT strategy. Some say that IT is not fit to provide this new digital innovation but I think this is more of a mind-set challenge. IT needs to recognise that focusing purely on ‘keeping the lights on’ and managing the status quo simply won’t cut it. Today IT still gets far too bogged down in management and maintenance, which leaves very little scope for new digital innovations. This leads to the perception that IT can’t innovate or take leadership of new initiatives like digital. According to Gartner, at least 80% of the IT budget is still spent on maintenance (yes this statistic hasn’t changed). I believe that IT does have the ability to drive innovation and take a lead on all things IT related including the organisation’s digital strategy. In order to do so however IT needs to look closely at how it is working, it needs to look at creating a more agile IT environment, and it must look at the role that advanced technology solutions can play – all of which can help to release IT from its technology shackles. With greater freedom will then come increased focus on digital innovation and an ability for IT to take exciting new digital projects to market fast. The creation of a totally integrated digital strategy won’t happen overnight. IT will need to build a more agile IT environment one that has the ability to adapt to business change quickly. However, often IT doesn’t have the manpower or the resources to achieve this on its own and this is where we can help. We deliver applications that are built-to-change at the speed of business. We help to simplify application management and development enabling hundreds of companies to rapidly deliver complex and highly scalable enterprise web and mobile applications. So not only can we help you improve IT productivity and responsiveness but through OutSystems, we can enable you to deliver more innovative applications that support your new digital business initiatives – helping you to keep one step ahead of the competition. Zahid Jiwa is an experienced Vice President of Sales who has an excellent track record in growing revenues for technology companies since beginning his career as an Analyst at Accenture, a management consulting, technology services and outsourcing company. He then moved to Showcase PR as Sales Director before becoming EMEA Director of Sales at digital marketing technology provider, Silverpop Systems. OutSystems is a software company that offers a rapid application delivery platform designed to make building and maintaining enterprise web and mobile applications easy, enabling IT to deliver innovative business solution. As VP of Sales in the UK and Ireland, Zahid has created a robust and sustainable go-to-market strategy as well as developing a senior level sales and marketing team for OutSystems in the UK. 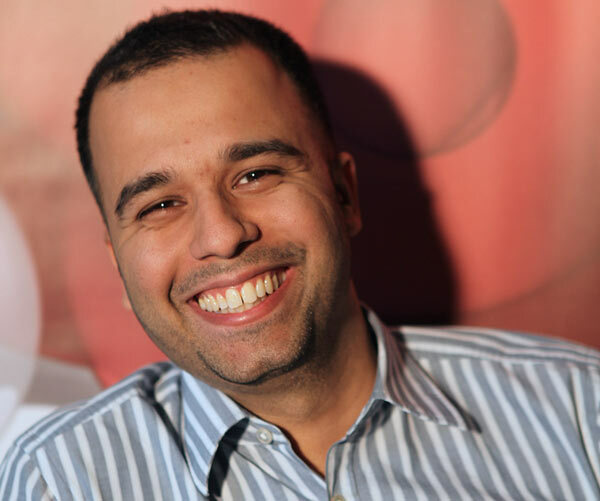 Zahid is especially interested in raising awareness around Agile Development and what an Agile Platform can do to help organisations innovate and enhance the speed of change, a passion he shares through discussion and debate with peers in the industry. He is also a big advocate for UX (user experience) and the importance of involving users early on in the design and prototype of bringing new products to market. He talks with authority on issues around the IT skills shortage and in particular he is keen to highlight the role that advanced technology solutions can play and how automation can help enable the IT team to bring new projects to market faster.